The special Knesset committee that was formed to discuss the future of public broadcasting convened on Wednesday, chaired by Yesh Atid MK Karin Elharar. The cancellation of the television license fee and the future privatization of public broadcasting were on the agenda. 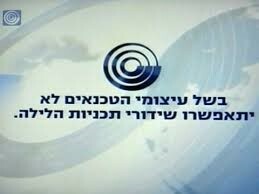 Employees of the Israel Broadcasting Authority (IBA) who are campaigning against the decision by Communications Minister Gilad Erdan to close down the IBA contend that license fee revenues are vital to ensure the continued operation of public broadcasting. Eyad Harb, the chairman of the Journalists Union at Israel Radio, said that the journalists were in favor of reforms but it was unacceptable to simply throw all the IBA employees into the street. As for so-called meetings to negotiate severance pay conditions: “We were barely aware of them,” he said. Rotem Avrutzky, chair of the Tel Aviv Journalists Union, said that the union had worked for years in an attempt to amend the Broadcasting Authority Law and to release the IBA from political shackles, but now that the political network has abandoned its responsibility for public broadcasting, the hands of the workers are being tied. Several MKs defended the IBA against closure. Dov Khenin of Hadash argued that it was incorrect to charge that the broadcasts were no good. “What was important was to determine the real problem he said. Was it with the journalists, the technicians, or with management?” He suggested that this be investigated before going any further with new legislation or privatization. The Israel Broadcasting Authority’s (IBA) workers television and radio stations launched a strike Monday against a government bill that would dismantle the entity and lay off 2,000 workers. All programming on Israel Radio was suspended beginning 4 p.m., while TV Channels 1 and 33 canceled broadcasts through Tuesday morning, running the statement “IBA workers are protesting the decision to close the broadcasting authority and sending 2,000 employees home,” on a continuous loop.